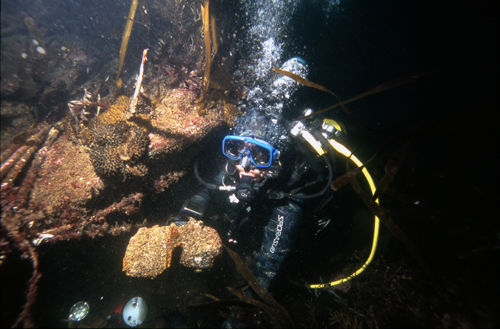 On this second week of June, l'Expédition Scyllias welcome two Austrian friends both fond of wrecks and history : Christian Hirsch and Heimo Stadlbauer. The purpose of their journey was to investigate, accompanied by divers of the association, the wreck of the Junkers 52 Mausi recently discovered by Jean-Michel Crouzet in order to find items and artefacts that could identify this aircraft, its unity and crew. Engineer and author of numerous writings related to aviation, Heimo Stadlbauer is an expert on Junkers 52 and its numerous variants. With Christian Hirsch, they had the opportunity to dive on several wrecks of this legendary aircraft. But it was the first time they could see the remains of the famous « Mausi ». 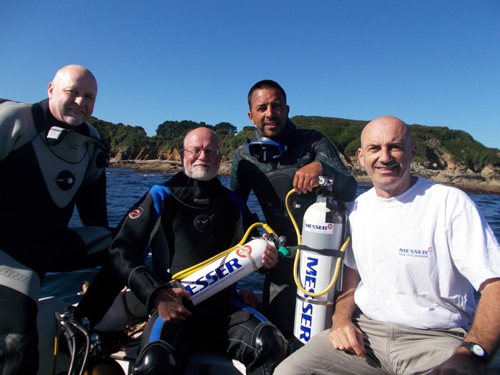 Christian Hirsch, Heimo Stadlbauer, Jean-Michel Crouzet and Jean-Louis Maurette, just before a dive. The operation was supported by Messer as gases supplier, by l'Expédition Scyllias for logistics and by Jean-Michel Crouzet for his knowledge about the site. Austrian divers were able to conduct their investigations in excellent conditions and to observe in situ a few elements that might help in recontructing the story. The purpose of this operation was also to highlight the unifying role of wreckdiving and to allow enthusiasts individuals from different nationalities to gather, work together and share good times. Jean-Michel Crouzet just found the drum magazines of the rear machine gun.